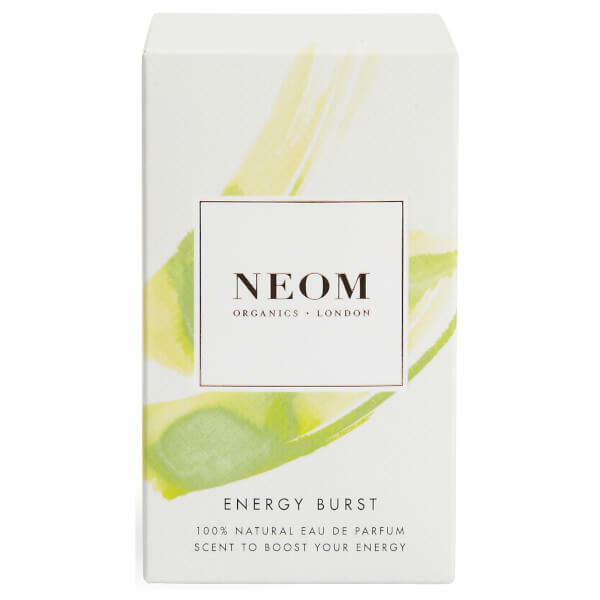 Enjoy the therapeutic properties of NEOM Organics Energy Burst 100% Natural Eau de Parfum, an uplifting fragrance powered by crisp, reviving notes. The 100% natural fragrance is perfect for both day and night; it delicately perfumes skin while enlivening the body and mind. Exuding energy, it contains Grapefruit, Lemon and Rosemary essential oils for a refreshing, revitalising effect. Alcohol Denat., Parfum*, Aqua (Water), Glycerin, Benzyl Alcohol, Limonene, Linalool, Geraniol, Citral, Evernia Furfuracea (Tree Moss) Extract, Benzyl Benzoate, Benzyl Salicylate, Farnesol. *Made with 100% natural essential oils including Grapefruit, Lemon and Rosemary.